12x12 premade scrapbook page. 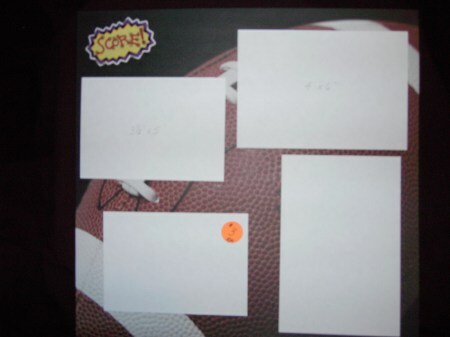 Printed football paper, score diecut, white cardstock mats. Sizes listed on mats. Perfect for those football game pictures. Just trim and attach!